This month i have requested for VPS 24. I know most you requested for this VPS. Lets try our luck. Looks like this time there are hardly much vpses for gameserver hosting a.. But anyways VPS 24 is eye catchy too. Hope someone use it well(sure most of the users would have applied for it). The first round has completed. The giveaway will completely close on Friday the 22nd. Hope next time, VPS 24 will be available for giveaway. Still VPS 20 is available for grab. All the best to second round participants. Thanks for the giveaway. Congratz to all the winners. Better luck next time @cybersa I hope there will be more servers available in next give away. BTW now if you fail to grab a vps in first round can you re-apply again for second round too ? (2017-12-20, 2:29:16 pm)dudex Wrote: Better luck next time @cybersa I hope there will be more servers available in next give away. Currently i own VPS 20 from HostDare. I want replacement VPS better than this in terms of Specs.VPS 24 is upgraded version of VPS 20 from HostDare. So i dont want to reapply again for this giveaway for this month. I should i wait for next month's giveaway. @Ignis I responded to your reply on my request post regarding how I accidently had VPS 14 set as my VPS when I didn't and it looks like I didn't make it for the first round of VPSes. Do I need to apply again in a new thread? VPS 15 is a really great VPS and am surprised there is so little interest in it. Only downside is it doesn't have it's own panel and one has to put in a request for changing an OS if one wants to, but it's so reliable - I never need to access a panel for any of my HostUS VPSs. For a second VPS it would be brilliant and maybe even a first depending on what one wants to use it for. HostUS has a huge variety of locations with focus on the US, but even with being located so far from the US, my ISP still does well with the US locations. My favourite location is Dallas - Charlotte is faster, but my ISP seems to not be as good with it causing huge fluctuations in speed. (2017-12-21, 9:07:37 am)deanhills Wrote: VPS 15 is a really great VPS and am surprised there is so little interest in it. Only downside is it doesn't have it's own panel and one has to put in a request for changing an OS if one wants to, but it's so reliable - I never need to access a panel for any of my HostUS VPSs. For a second VPS it would be brilliant and maybe even a first depending on what one wants to use it for. 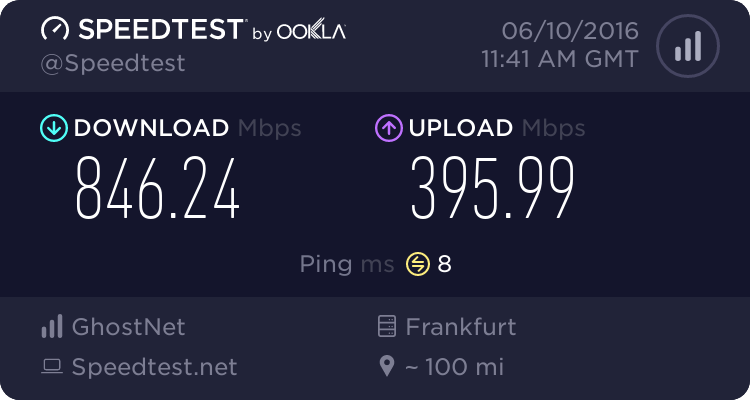 HostUS has a huge variety of locations with focus on the US, but even with being located so far from the US, my ISP still does well with the US locations. My favourite location is Dallas - Charlotte is faster, but my ISP seems to not be as good with it causing huge fluctuations in speed. HostUS is great! Been enjoying my VPS 16 so far, haven't touched at the Charlotte location yet however, I use LA more, since I'm on the west coast. I might try the Charlotte location if I get a chance, but I need something with a bit more ram so I want the Hostdare VPS to host my MySQL database and do some other stuff. The question is if I'll get it or someone else will get it thanks to their higher score. 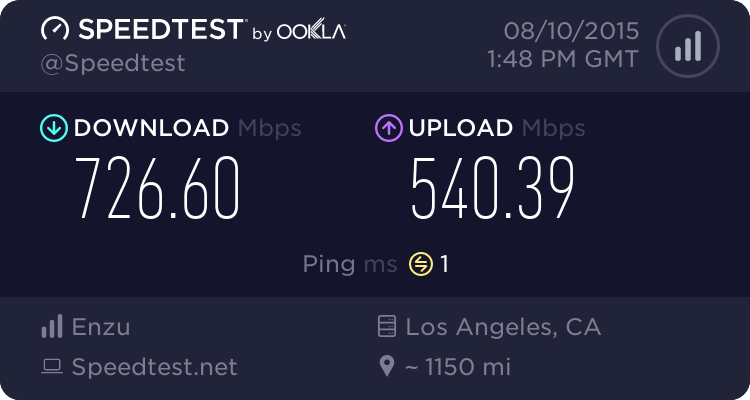 Maybe HostUS just has amazing peering for all of us, I get great speeds too, so I'm really happy with the performance I'm getting. Everyone should really grab a VPS from HostUS since their host's performance is so good! In case it wasn't clear, this giveaway is already closed. I haven't closed the request form as I still have VPSes to hand out, but that does not change the fact that the giveaway has ended. Current time: 2019-04-24, 8:59:29 pm Powered By MyBB, © 2002-2019 MyBB Group.